When the latest firmware update hit the iPhone and Touch yesterday so did a new gaming network for the device. The home page for Ngmoco's Plus+ network. You can choose from a relatively short list of pre-created Ngmoco-themed avatars for your image. Touching your name brings up this screen, which lets you access your awards, a leaderboard screen and a list of the games you've played recently. When you touch the Awards option you get a list of games you've played. Touching a game shows the total number of award points you have earned, which awards have been achieved and which remain locked. Looks familiar, huh? You can add a friend by typing in their user name or searching through your address book. If they're not a member of Plus+, they'll get an email. Once you have friends you can challenge them directly in a game. In Star Defense you do that by playing a round and then when you lose you tap on the Direct Challenge button. The Games screen shows all of the games available on the Plus network as well as a list of the games you own. 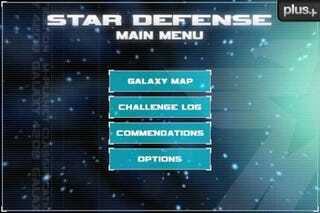 Oddly enough, when I logged in it only showed that I owned Star Defense even though I own most of Ngmoco's games. That might be because the only Plus+-supported game is Star Defense. When you click on a game's name in this screen you get a page that shows the awards for the game, the latest news and more details. The more details option gives you a description of the game, screenshots and, if you don't own it, the option to buy the title.